Well known all over the world, Foreigner and Journey are giants of the genre best known as ‘Adult Orientated Rock’ and have been huge draws as live acts since forming in the 1970s. The two bands have achieved massive commercial and critical success and both sold in excess of 80 million albums, their supreme musical quality meaning that they’ve never been victims of trends or passing fashions. Sadly for those in the UK, their shows over here have been few and far between. 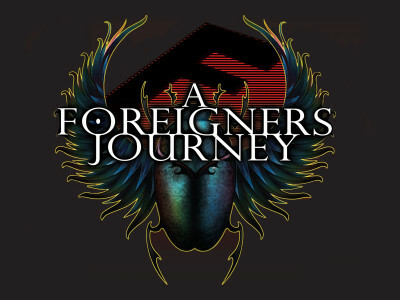 Thankfully the next best thing is here ​A FOREIGNER’S JOURNEY. The band have toured throughout the UK and Europe for the last 6 years and headlined a number of festivals, establishing themselves as one of the most respected and well known tribute shows around. Cherry picking the very best songs from each of the two bands, they’ll perform bonafide rock classics such as (the massive) ‘Don’t Stop Believing’, ‘Separate Ways’, ‘Cold As Ice’, ‘Juke Box Hero’, ‘Waiting For A Girl Like You’ and ‘I Want To Know What Love Is’, plus many more..
A Foreigners Journey take things much beyond a mere ‘tribute act’ and turn their performance into a living, breathing and powerful show. Guaranteed to be an evening to remember and real treat for all those who love quality rock.